A New York Mets fan made a strange attempt to catch a home run ball during Tuesday night's game against Minnesota. It happened in the third inning as Twins batter Mitch Garver hit a home run to left center field, his second of the game off Mets superstar pitcher Jacob deGrom. 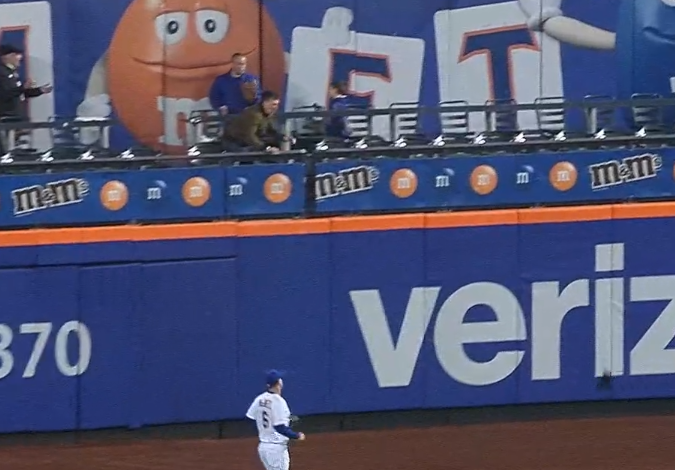 The Mets fan in the front row saw the ball and tried to catch it by...throwing his cap at it. The fan's attempt went about as well as you would expect. The cap ended up on the field, and the Mets fan ended up without the baseball.